Oxley Hall offers student accommodation in the suburbs of Leeds with impressive views of its attractive settings. Leeds is a well-known student city with three universities and plenty of history. In an excellent location with University sporting facilities nearby, Oxley is just 10 minutes from the popular student hub of Headingley that is home to many bars and shops. Also, Oxley Hall has well bus links to the university campuses which are 20 minutes away by bus. Oxley hosts shared flats with ensuite bedrooms. Residents can enjoy numerous communal rooms, outdoor spaces and its own gym. The Oxley Hall team wanted to attract more residents with high quality visial content. Their aim was to show each area and its enjoyable conditions. Splento was to provide Oxley Hall with professional photography coverage, including a 360-degree tour of its inside in order to showcase as much as possible that all Oxley housing rooms and apartments are fully furnished and equipped with basic cooking and household utensils. 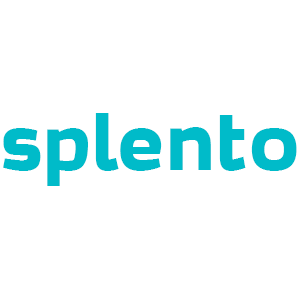 In addition to this, Splento focused on the main marketing goal to reach a wider audience by raising awareness of the accommodation and its benefits that are just right for active student audience. To achieve the highest possible quality of photos for Oxley Hall three professional photographers were involved. We also provided our interior design stylist that boudht and brought to the property and stage accessories for this photoshoot. We took over 1326 photos, 345 of which we expertly retouched and delivered to clients within 48 hours. They were also provided with the 360-degree tour, created by us, to give their marketing team the tremendous opportunity for using it to raise awareness of the accommodation among potential residents. This 360-degree tour is also available in our online gallery to allow engaged parties to view it easily. Following these links below BEFORE and AFTER you can see the difference between Oxley Hall ex-snapshots and their high-quality 'recreations' done by Splento. Primarily, the Oxley Hall team noted the importance and positive impact of the collaboration with our professional photographic specialists. They were pleased with the results, because their presentation opportunities benefited from having the high quality visial content to be ready so quickly. This opens up more avenues for them in the nearest future from improving the accommodation awareness to increasing the number of students in total.